Tuesday, June 6, 2017, 7:30 p.m. The St. John’s Organ Society Celebrates our 25th Anniversary in 2017. We begin our celebration of this anniversary with our International Concert on Tuesday, June 6, 2017, at 7:30 pm. Organist, teacher, and church musician, Dana Robinson, will perform music of César Franck and Felix Mendelssohn on the historic organ at St. John’s Catholic Church (207 York St., Bangor). Robinson is on the faculty of the School of Music at the University of Illinois, and is organist at Grace Lutheran Church in Champaign, Illinois. A recipient of the Frank Huntington Beebe Grant for study abroad, Robinson spent two years in Germany and the Netherlands, studying early German and Dutch repertoire with Harald Vogel. He holds the Doctor of Musical Arts degree from the University of Iowa, where he studied with Delbert Disselhorst, and the Bachelor and Master of Music degrees from the New England Conservatory, where he studied with Yuko Hayashi. Prior to coming to the University of Illinois, he held teaching appointments at Central College (Iowa) and Luther College, and was Organist and Choirmaster at Trinity Cathedral in Davenport, Iowa. 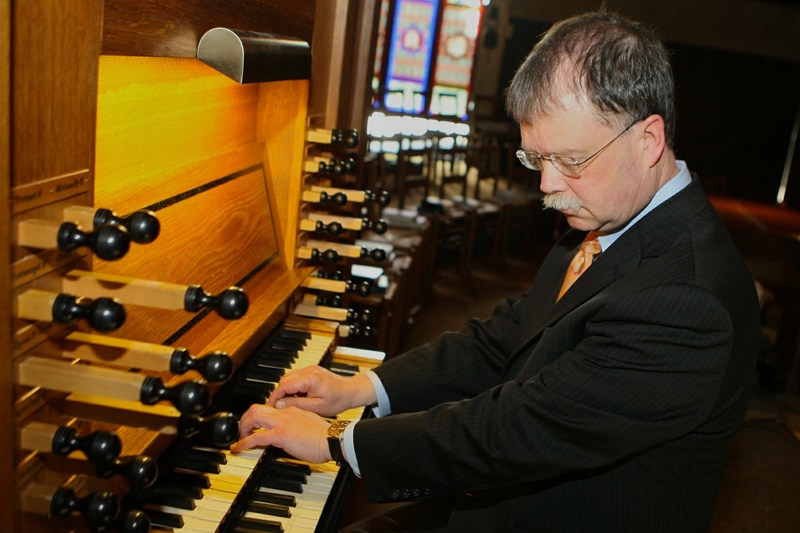 Robinson performs regularly for chapters of the American Guild of Organists, and for national conventions of the Organ Historical Society and the Westfield Center for Early Keyboard Studies. In addition to solo performances, he appears regularly in organ duet recitals with Paul Tegels, professor of organ at Pacific Lutheran University. His performance of J. S. Bach’s Orgelbüchlein can be heard on the ARSIS label. We thank our sponsors: Brett and Gail Baber. We are grateful to our partner hotel, the Charles Inn.